What are the Top Johor Attractions? 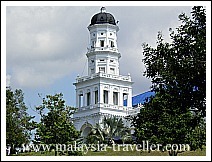 Johor is a big state (the 5th largest in Malaysia by area) and there is plenty to see and do. Here is my suggested list of 11 of the best tourist sights. Click on the photo or link for further information on each attraction. 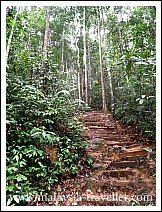 Gunung Ledang National Park has attracted naturalists since 1854. Even if you don't climb the fabled mountain itself, the Puteri Waterfalls are worth a visit. 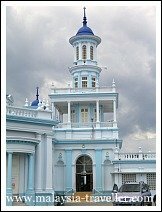 Muar is an interesting seaside town with brightly painted shophouses, some colonial-era buildings and a matching pair of blue mosques on either bank of the Muar River estuary. Gunung Lambak is supposed to be an easy climb but for me it was exhausting. I found a nice hotel and restaurant in nearby Kluang. A chance to see a fishing village built on stilts over the sea and to sample some delicious seafood. 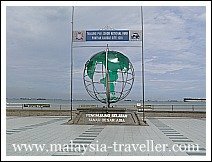 Tanjung Piai is at the southern most tip of mainland Asia. It is located in a small national park where you can learn about a typical mangrove eco-system. A walking tour around Johor Bahru's historic centre is a good way to experience some of the main attractions in this city. 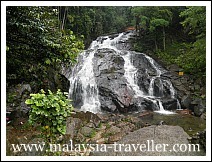 A popular waterfall resort, easily accessible from JB, with natural pools, slides, picnic spots and walkways alongside an impressive waterfall. 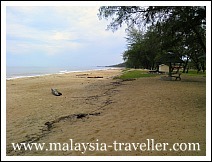 The east coast of Johor is lined with mile after mile of sandy beaches, many of them deserted, such as Desaru, Tanjung Balau, Jason's Bay, Kuala Sedili, Tanjung Leman, Mersing, Teluk Buih, Air Papan and Penyabong. Read about them on my blog. Legoland Malaysia is a world-class family theme park in Johor with over 40 interactive rides and attractions spread over 76 acres. 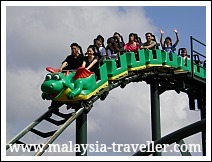 Younger kids, in the 3-7 year range, will enjoy Puteri Harbour Family Theme Park which is close to Legoland. 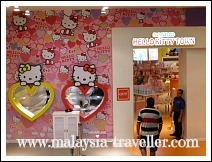 This indoor theme park includes Hello Kitty Town and Little Big Town which features Thomas the Tank Engine, Bob the Builder, Angelina Ballerina, Pingu and Barney. Shopaholics will love this place, an outdoor shopping centre with a collection of over 60 designer fashion, sportswear, shoes, bags, accessories and gift shops selling branded items at direct from factory prices. Not really my cup of tea, but a pleasant atmosphere, plenty of parking and a good selection of places to eat. Pulau Rawa is an idyllic tropical island paradise off Johor's East Coast. 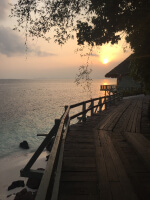 Read my review of the accommodation, facilities and activities of the island's top hotel, Rawa Island Resort. 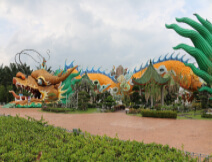 The Fortune Dragon Statue in Yong Peng is one of the world's largest dragon tunnels with a length of 115 meters. It is attractively painted and surrounded by lovely Chinese gardens. 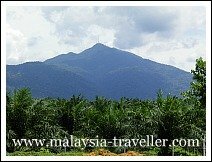 - Endau Rompin National Park, one of the oldest lowland dipterocarp rainforests in the world. 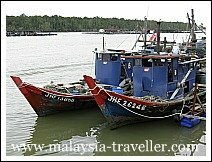 - Johor's Islands, popular tropical islands include Pulau Babi Besar, Pulau Pemanggil, Pulau Dayang and Pulau Sibu Tengah. If you have suggestions for more places that should be included on the list of Top Johor Attractions please let me know. 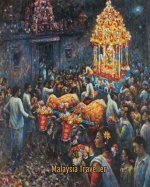 Looking for day trip ideas in JB? Here are 7 options. 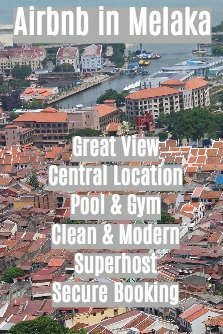 Looking for a hotel in Johor? Take a look at Agoda's website for a wide range of hotels at discounted rates.